Nissan has confirmed production of a future generation of electric vehicle (EV) batteries at its flagship manufacturing base in Sunderland. Representing a £26.5m investment in the UK, this commitment will safeguard 300 highly-skilled jobs in manufacturing, maintenance and engineering at Nissan's advanced lithium-ion battery plant, the largest of its type in Europe. Paul Willcox, Chairman, Nissan Europe, said: "Today's announcement reflects Nissan's intention to remain EV leaders for many years to come, with our UK operations at the heart of our future innovations." Paving the way for future generation batteries will be a new £19.4m project that will team Nissan with new academic and technology partners in the UK, supported with a £9.7m grant from the UK's Advanced Propulsion Centre (APC). UK Business Secretary Sajid Javid said: "This investment from Nissan is a further vote of confidence in our thriving automotive sector. The UK is fast becoming a world leader in low carbon automotive technology and the government is backing the industry. We committed an extra £225million funding to the Advanced Propulsion Centre in the Autumn Statement. This Nissan project, which is benefiting from that funding, shows what can be achieved." 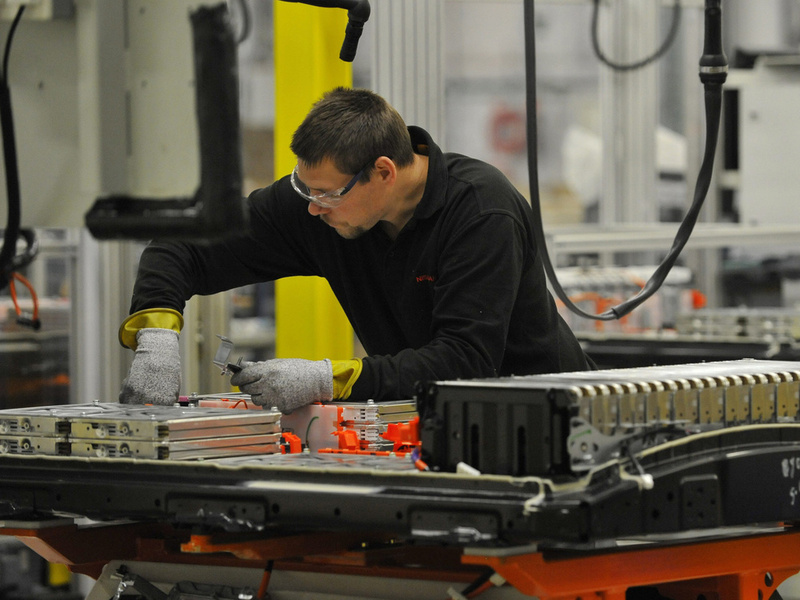 The UK battery plant is one of three Nissan battery production sites globally, also providing battery modules for the all-electric e-NV200 van, which is manufactured in Barcelona.